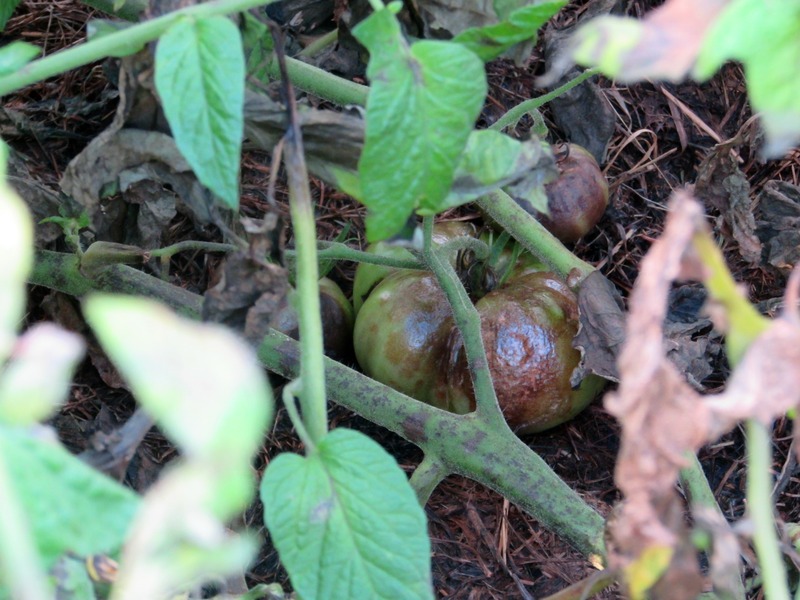 This entry was posted in Growing In the Red Soil, In the Kitchen and tagged garden, pickling, planting, recipes, self-sufficiency, vegetables by Russ Anthony. Bookmark the permalink. There is a potential that it could overwinter in the soil – but the spores are short lived and the cold winter should kill off any remaining. 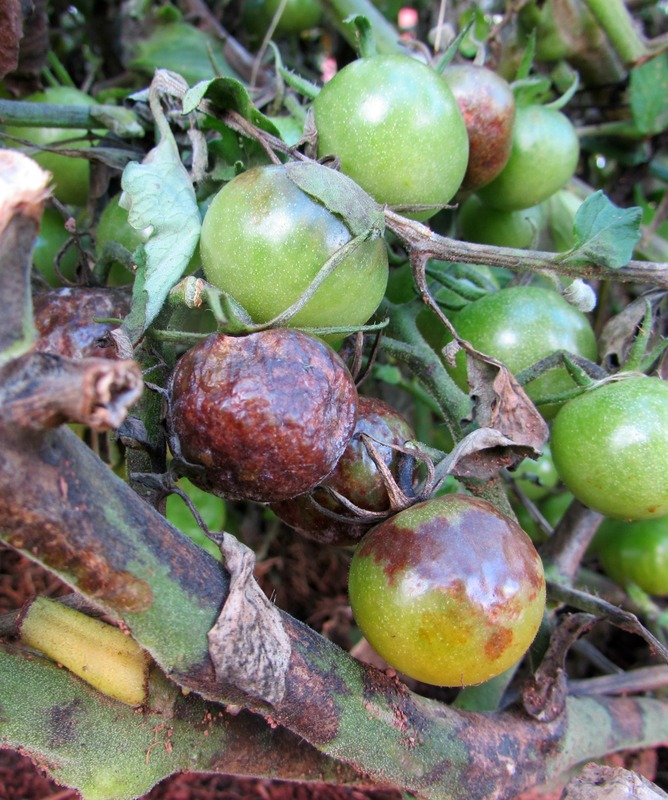 Removing as much of he affected plant and vegetation is crucial. We’ve planned our gardens with crop rotation in mind – so we won’t be planting any tomatoes or potatoes in this bed for another four years anyhow. Live and learn is right – we can take measures to help prevent this in the future too. You got it – there’s always a silver lining. Everything we do is a learning experience – both the successes and failures – and especially the failures. Bigger and better next year! 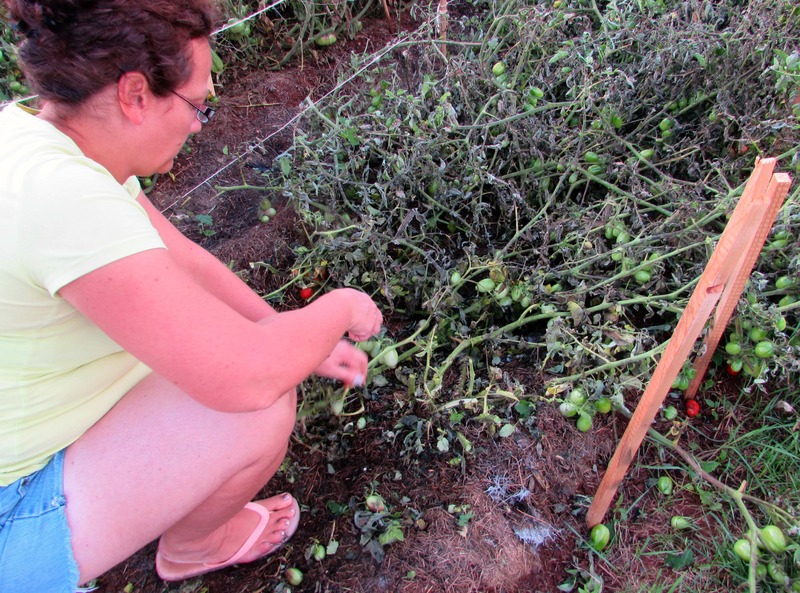 Sorry to hear about the problem with the tomato crop. When we lived on the west coast it was a common problem. The only really effective solution we were able to implement was to grow the plants under cover. If no water hits the leaves and all the water arrives via the soil, the problem was pretty much eliminated. The bad news is that it is a lot of work. We were only growing a handful of plants so we kept them in large pots on wagons and carts. If rain threatened, we would scuttle the wagons into a carport. 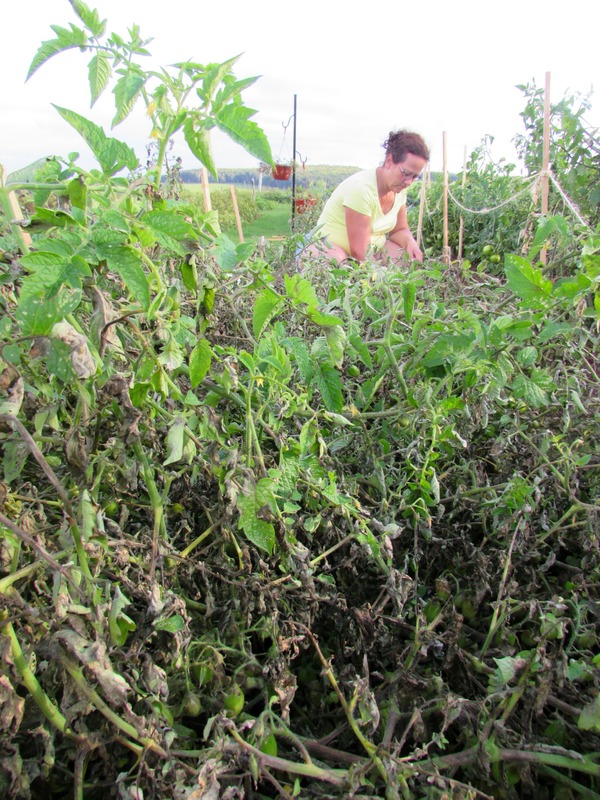 Here in Saskatchewan the problem is less frequent, although I have heard of outbreaks on wet years in both tomatoes and potatoes. 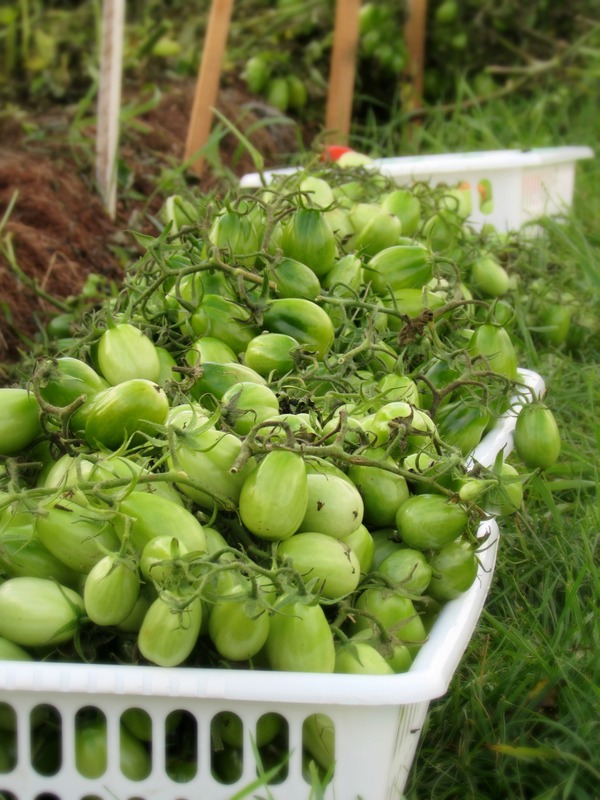 Our long term strategy is to do all of our tomatoes, bell peppers and hot peppers in greenhouses. As for the potatoes, we are hoping that having extra plots available to move to, will keep us a step ahead of fungal problems. Thanks Mark – will keep all that in mind for next year. 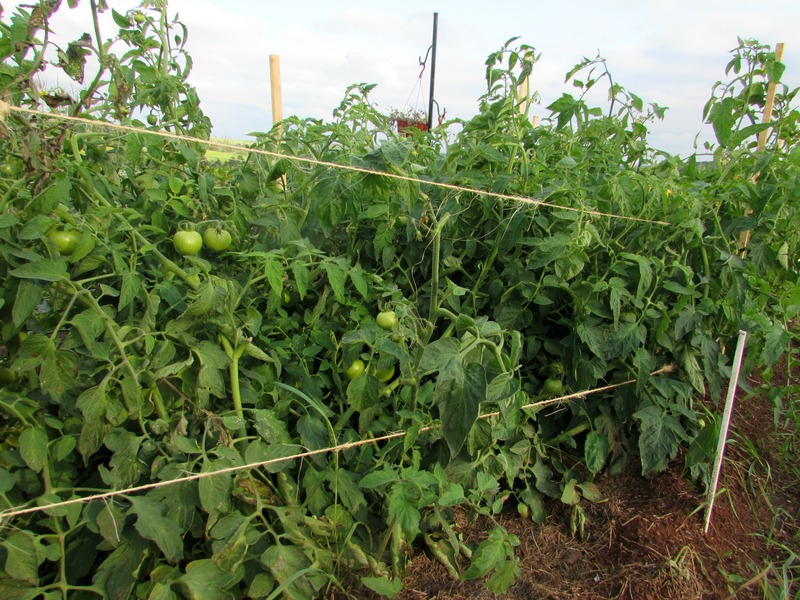 Fortunately, we have the space and ability to rotate our crops yearly – neither potatoes, tomatoes or peppers will be in this spot for another four years. 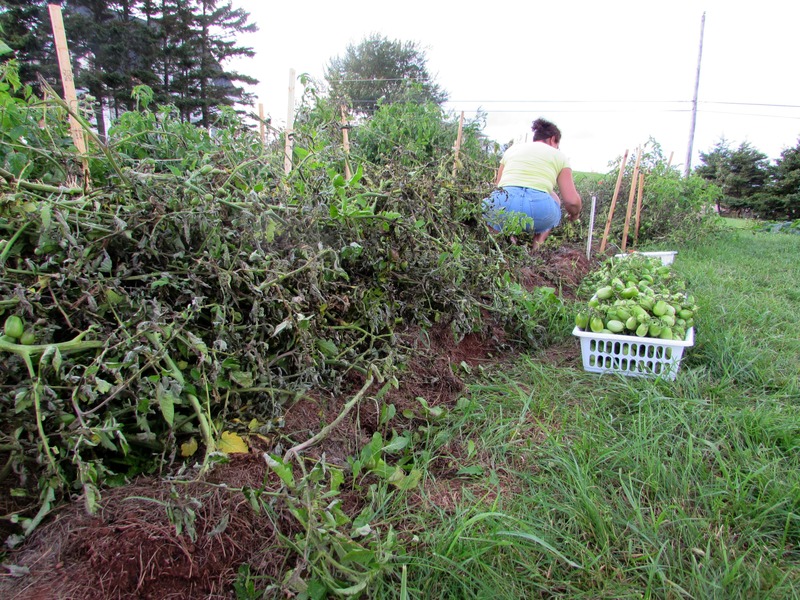 We probably did everything wrong this year with the tomatoes – too crowded, not enough circulation, leaves touching the ground, soil splashing – we’ll chalk this year up to experience and do things differently (better) next year. I like the idea of a greenhouse or high tunnel for these crops too – will probably also help extend the season, I imagine. 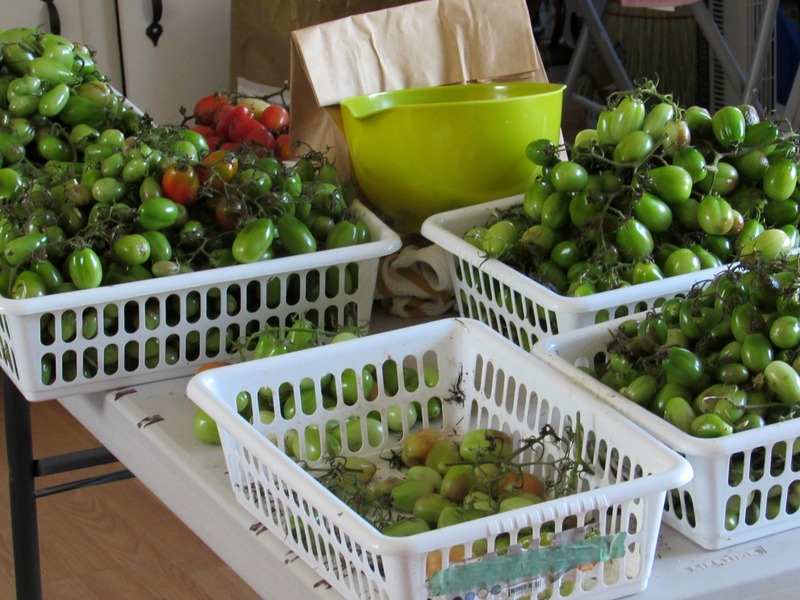 Otherwise, without a doubt, our gardens were hugely successful this year (save the tomatoes) and we couldn’t be happier with our (continuing) harvest. 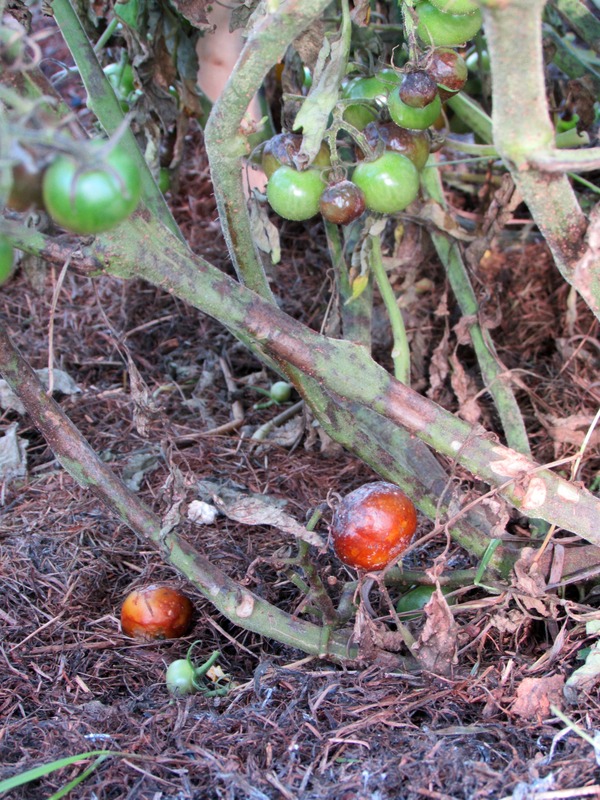 Yup, we get blight here too – the lovely west coast dampness isn’t stellar weather for tomatoes. I grow mine out in the garden and take my chances (my main gardening strategy, actually), but most serious tomato people here use tunnels, greenhouses, hoophouses, etc. I’ve been to PEI many times (family up around East Point) and have always wondered why tunnels aren’t used more – though I suspect it has to do with the snow load in the winter. Chow chow! Haven’t had it since my mother-in-law passed away. I’ve got her recipe somewhere, but in the meantime, I am definitely going to give yours a go, it looks fairly simple! Thanks for the comments! We’re re-thinking our tomato strategy for next year and I think low-tunnels are in our future. And hey – if you find yourselves on the island again, be sure to look us up. What a bummer! We had a bad blight year a while ago and it’s so disappointing. It sure is, Julia – but there’s always next year. I have to say, though, I’m pretty envious of all the tomatoes shown in your last post. Looks awesome! Well, I have to admit–I didn’t grow any of them! This year wasn’t so great for me but I have some farmer friends that helped me out. Let’s hope next year is better! I”ll drink to that! Cheers!